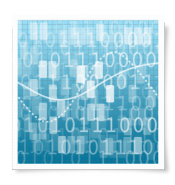 Beyond Charts develops investment and trading tools like stock charts for their private investors. They created Beyond Charts to help investors in their ongoing search for investment opportunities. You can focus on the various securityes that you are interested in and as a result can make more informed decisions, because their powerful - yet simple - charting software take standard functionality to a much higher level. Beyond Charts+ also includes additional features like the ability to view dividend, corporate action and specific technical and fundamental share information, analyse securities with advanced technical analysis line studies and manage, save and recall your analysis in the Analysis Manager. But it doesn’t stop there! Beyond Charts+ also includes powerful scanning and backtesting functionality called Beyond Charts Formula Language (BCFL). BCFL gives you the power and ability to formulate and test your own trading ideas. BCFL is 99% compatible with the MetaStock formula language. Take your existing MetaStock formulas or create new formulas and run them through the Beyond Charts+ high speed scanning engine. Beyond Charts Formula Language: Test your ideas, scan, write indicators and backtest systems with Beyond Charts Formula Language (BCFL). Scan & Filter the Market: Make the massive job of analysing the market easier each day with our scanning and filtering tool. Quickly see which securities meet your entry/exit trading criteria. Watch List Explorer: The Watchlist Explorer gives you the flexibility to easily manage and examine the securities you’re interested in keeping an eye on! Indicators/Line Studies: Analysis and Line Studies are used by experienced analysts to confirm trends. Most investors learn that picking the highs and lows are a difficult task that require more than luck. You'll need a Market Data Subscription to provide data for your Beyond Charts software. When it comes to making educated decisions, you’ll need market data that you trust and rely on. Beyond Charts has partnered with Premium Data - they are a leading Data Vendor, and their whole focus is the cleanliness and accuracy of data. Beyond Charts's goal is to find and to distribute the highest quality End of Day data available for a range of International markets, to sophisticated traders and investors around the globe. No need to manually collect your data like in the old days. If your computer is connected to the internet and if the data is available, Beyond Chart's data tools automatically download the latest data (even if your Beyond Charts software is closed). It's very fast, and is also automated - which saves you valuable time. When you purchase your Data Pack, it's for 12 months and your initial purchase will also include historical data as well as an automated Data Downloader. As a BONUS, active Beyond Charts subscribers are provided with free, automatic product version upgrades. There's no need for you to pay extra, or even to buy the product again - which is the case with many of their competitors. Full history of ASX stocks dating back to 1992. End of Day updates for all stocks including Market Close snapshot. We've sourced 140 plus of the most sort after and popular FX pairs, Futures Continuous Contracts and Australian Housing and Economic Data Statistics to give ASX subscribers the big picture Australian view. Over 200 individual Indices including the ASX majors – ASX All Ordinaries, ASX All Ordinaries Accumulation Index, ASX 20, ASX50, ASX100 & ASX200. You'll also have the ability to drill down and view each Industry Sector, Industry Group and Sub Industry included in ASX Indices Eg; Materials, Metal and Mining and Gold. This sector data will allow you to measure the performance of each sector and the stocks that appear in each sector. Full history of over 80 plus individual World Indices allow you to view the performance of other markets around the world. Whether it the USA, China, UK, India, Brazil or others. End of day daily updates for USA stocks across the AMEX, NASDAQ, NYSE, NYSE ARCA stock exchanges going back to 1985. The Pack also includes Common Stock, Preferred Stock, American Depository Receipts, Closed-end Fund, Exchange Traded Funds, Exchange Traded Notes and Structured Investment Products. We've sourced the most sought after and popular FX pairs, Futures Continuous Contracts and USA Housing and Economic Data Statistics to give USA subscribers the big picture view. Historical data for around 1,000 indices. You'll also have the abilty to drill down and view each Industry Sector, Industry Group and Sub Industry included in USA Indices Eg; Materials, Metal and Mining and Gold. This sector data will allow you to measure the performance of each sector and the stocks that appear in each sector. A total of 142 items. Key cash and spot markets covering: Bulk Commodities, Bullion, Commodity Indices, Energy, Financials, Food, London Metals Exchange, Stock Indices. 30,000 plus ETOs including Call, Put & Low Exercise Price Options that are traded on a derivatives exchange, rather than directly between counter parties. Close to 5000 Warrants, including Call & Put Warrants, which are Option-like securities that are traded on the ASX's equities market.